The coordination of complex process structures is a fundamental task for enterprises, such as in the automotive industry. Usually, such process structures consist of several (sub-)processes whose execution must be coordinated and synchronized. Effecting this manually is both ineffective and error-prone. However, we can benefit from the fact that these processes are correlated with product structures in many application domains, such as product engineering. Specifically, we can utilize the assembly of a complex real object, such as a car consisting of different mechanical, electrical or electronic subcomponents. Each sub-component has related design or testing processes, which have to be executed within an overall process structure according to the product structure. Our goal is to enable product-driven (i.e., data-driven) process modeling, execution and adaptation. We show the necessity of considering the product life cycle and the role of processes, which are triggering state transitions within the product life cycle. 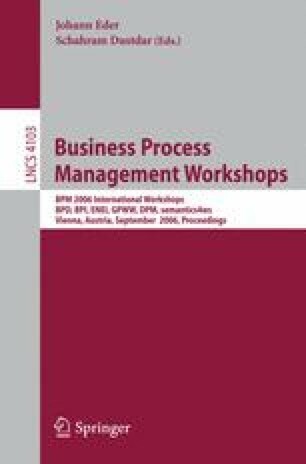 This paper discusses important issues related to the design, enactment and change of data-driven process structures. Our considerations are based on several case studies we conducted for engineering processes in the automotive industry.